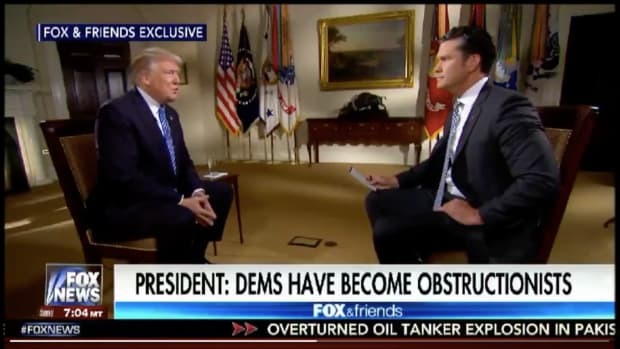 The Fox News host has called Trump 'incapable' and believes his presidency has failed. 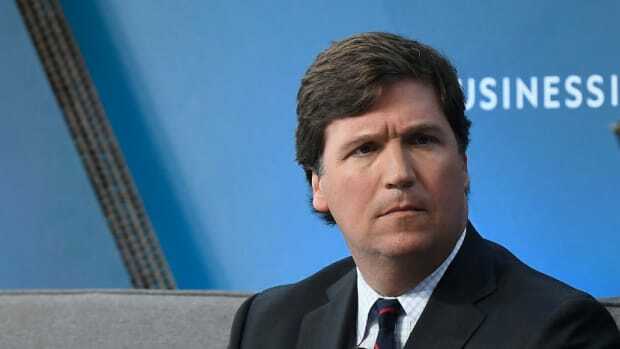 In a shocking turn of events, Fox News&apos;s preeminent white nationalist, Tucker Carlson, has trashed president Trump calling him &apos;incapable&apos; and labeled his presidency a failure. In an interview with “Die Weltwoche”, Switzerland’s most popular German-language opinion weekly, Carlson, who has rarely criticized the president, went drastically off script lambasting the president on a number of issues. Carlson declared that he &apos;hates&apos; Trump&apos;s boastfulness, believes he hasn&apos;t kept his promises, and is completely incapable of being President. …I hate that about him. I hate that… it&apos;s not my culture. I didn&apos;t grow up like that. In your book you speak a lot about people who attack Trump, but you actually don&apos;t say very much about Trump&apos;s record. No. His chief promises were that he would build the wall, de-fund planned parenthood, and repeal Obamacare, and he hasn&apos;t done any of those things. There are a lot of reasons for that, but since I finished writing the book, I&apos;ve come to believe that Trump&apos;s role is not as a conventional president who promises to get certain things achieved to the Congress and then does. I don&apos;t think he&apos;s capable. I don&apos;t think he&apos;s capable of sustained focus. I don&apos;t think he understands the system. I don&apos;t think the Congress is on his side. I don&apos;t think his own agencies support him. He&apos;s not going to do that. I think Trump&apos;s role is to begin the conversation about what actually matters. We were not having any conversation about immigration before Trump arrived in Washington. People were bothered about it in different places in the country. It&apos;s a huge country, but that was not a staple of political debate at all. Trump asked basic questions like&apos; "Why don&apos;t our borders work?" “Why should we sign a trade agreement and let the other side cheat?” Or my favorite of all, "What&apos;s the point of NATO?" The point of NATO was to keep the Soviets from invading western Europe but they haven&apos;t existed in 27 years, so what is the point? These are obvious questions that no one could answer. Not much. Not much. Much less than he should have. I&apos;ve come to believe he&apos;s not capable of it. Because the legislative process in this country by design is highly complex, and it&apos;s designed to be complex as a way of diffusing power, of course, because the people who framed our Constitution, founded our country, were worried about concentrations of power. They balanced it among the three branches as you know and they made it very hard to make legislation. In order to do it you really have to understand how it works and you have to be very focused on getting it done, and he knows very little about the legislative process, hasn&apos;t learned anything, hasn&apos;t and surrounded himself with people that can get it done, hasn&apos;t done all the things you need to do so. It&apos;s mostly his fault that he hasn&apos;t achieved those things. I&apos;m not in charge of Trump. What exactly does this mean? Well, quite a lot actually. Carlson has been one of the most important voices in media defending Trump and his agenda. While Carlson finds the president&apos;s personal behavior unbecoming, he has no problem with him locking up immigrant children in cages, appealing to white nationalists, and scapegoating black/brown people. 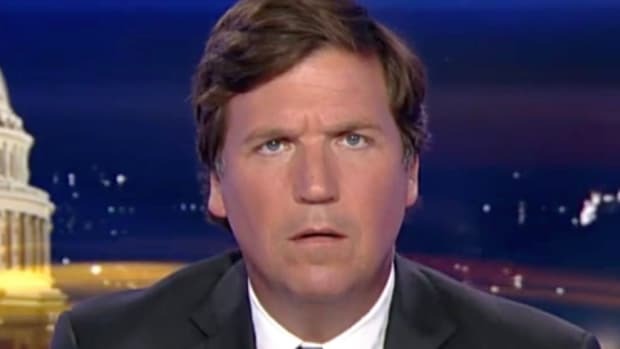 In fact, Carlson spends an hour every night encouraging him to do it, all in the name of restoring America to a fictional, 1950&apos;s version of itself. "How precisely is diversity our strength?" Carlson said on his show in September of this year. "Can you think of other institutions, such as marriage or military units, in which the less people have in common, the more cohesive they are?" "Do you get along better with your neighbors and coworkers if you can&apos;t understand each other, or share no common values?" he went on. "And if diversity is our strength, why is it OK for the rest of us to surrender our freedom of speech to just a handful of tech monopolies?" What thinking diversity is good has to do with supporting tech monopolies is anyone&apos;s guess, but you get the gist: white, English speaking America good, brown, multilingual America bad. 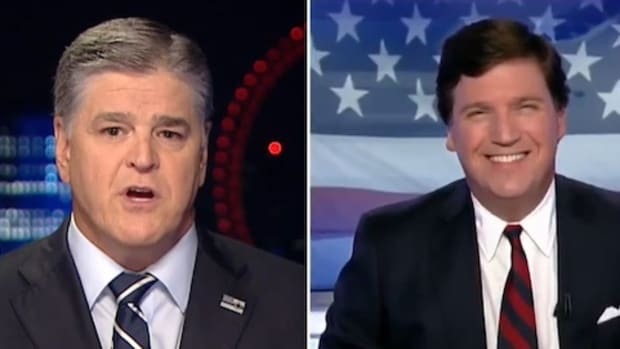 Carlson’s show has been largely complimentary of Trump and the president has, in turn, become an even bigger fan. 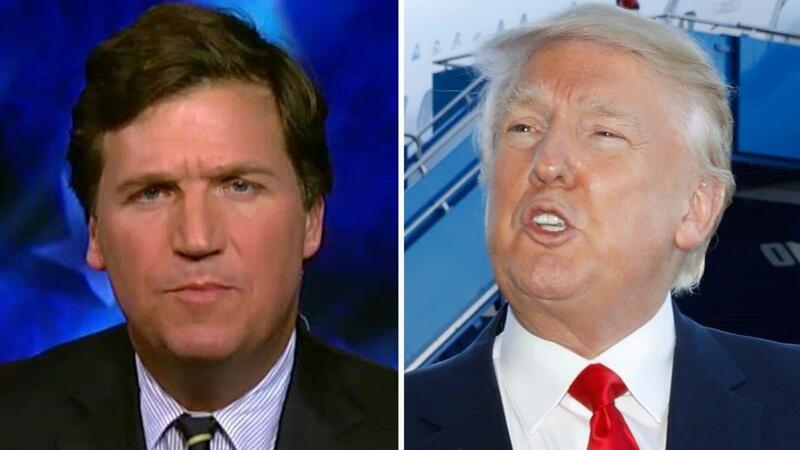 According to those familiar with his media consumption habits, Trump often tunes in to Tucker Carlson Tonight and has increasingly name-checked Carlson in public and on social media. Carlson is apparently acutely aware that his network is seen as being a propaganda outfit for the president, so he has been careful to create the impression he is an independent voice, beholden to no one. 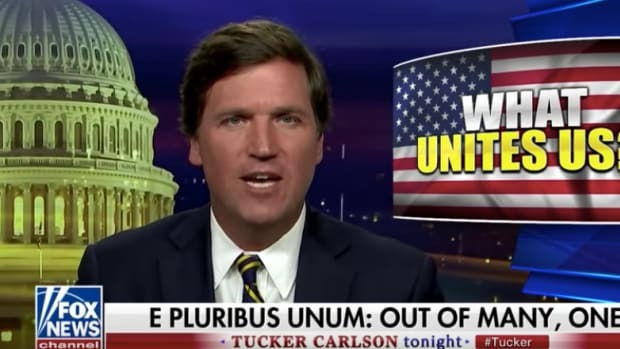 Until recently though, this hasn&apos;t meant much -- Carlson supports the president&apos;s worldview and has done more than almost anyone in America to intellectualize ethno-nationalism. He almost never goes after Trump on his show, preferring instead to focus on the grave threat identity politics millennials pose to America, and elitist leftists who want to impose diversity on everyone. The interview with Die Weltwoche however, marks a significant change in Carlson&apos;s public stance on the president. It is likely Carlson understands how grave the legal challenges Trump is facing and how close he could be to political ruin. With the Mueller investigation coming to a close and a Democratic controlled House, the power dynamics have shifted in America, and Trump is no longer untouchable. Carlson knows the president&apos;s grip on reality is tenuous at best, so his ability to navigate his way out of trouble is limited. Carlson is clearly creating an escape route for himself and laying the groundwork for his career in a post-Trump America. Carlson shamelessly used racism to become one of the most successful cable news shows in the country in the era of Donald Trump. Now that era might be ending, he is shamelessly dropping Donald Trump to ensure he stays relevant.